McALLEN — Any moment in your life, whether good or bad, is worth remembering and retelling. Why not take it a bit further and make a joke out of it, too. This style of comedy has made Esparza memorable in the eyes of many throughout the country. After two comedy specials aired on Netflix and HBO — “They’re Not Gonna Laugh at You” in 2012 and “Translate This” in 2017 — he is ready to bring his live show back to the Rio Grande Valley with a performance scheduled for 8 p.m. Saturday at the McAllen Performing Arts Center. Esparza, 42, was born in Sinaloa, Mexico, but raised in East Los Angeles after his family migrated to the United States when he and his siblings were children. It was through a rough childhood in Boyle Heights where he developed his comedic chops and love of storytelling. He is not shy to say that life events led him to not graduate high school, become a teenage father and even end up in rehab after drug abuse. But it is these and many other stories that he uses in his comedy to fill the room with laughter, even when the stories were not flattering or necessarily happy memories. His love of comedy was born out of watching Mexican TV shows, such as “Los Polivoces,” as a child. The television in his house was solely tuned to Spanish channels, he recalled, so one of his goals is to also one day release a Spanish comedy special. But even as his flair for the trait did not come from his parents, they have made for great stories to tell, he said, adding that his father’s idea of a joke was to pass through the parking lot of a McDonald’s while driving and laughing as he saw his children’s excitement turn into disappointment, realizing he was only using the parking lot to evade traffic. Storytelling, his other talent and interest, he got from just getting to know all of the different characters of his neighborhood growing up by just having conversations. He was approachable, or as he put it, “I caught the eye,” so he found himself talking to everyone. He likes being approachable, he said, and listening to how everyone got to be the person they are today. So he is now also hosting a podcast show called, “What’s Up Fool?” where he invites people from all walks of life to tell their stories on air. 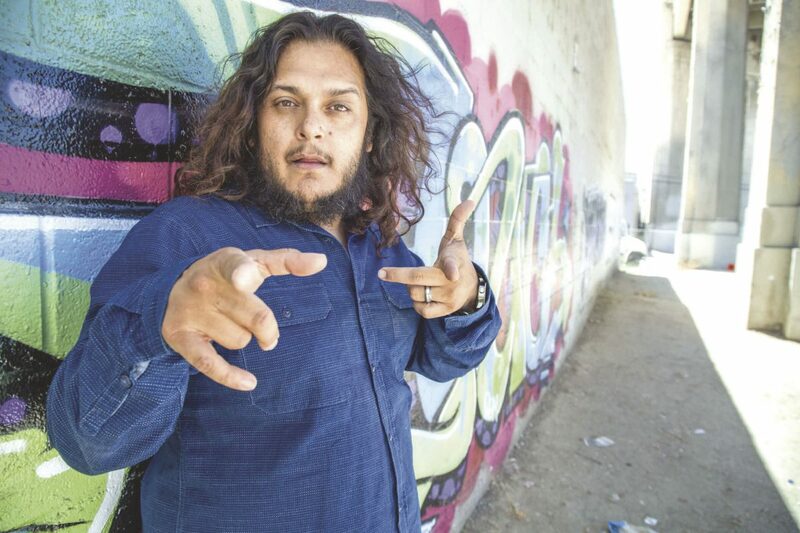 Telling his own story on stage tends to resonate with many, especially in regions like the Valley with a high population who share a bicultural background. Esparza recalls having long lines of people wanting to meet him at shows throughout the border, and said he is always happy to take the time to meet everyone. “Have your camera ready,” he said jokingly, about what he wants people from the Valley to keep in mind if they go to his show. And also be ready to laugh at life’s unfortunate and fortunate events. Fans should not go to his show expecting to hear him rant about politics, he said, as he rather spend that time helping his audience disconnecting from news and social media and laugh about life. The stand-up comedian — winner of NBC’s “Last Comic Standing” in 2010 — will perform live. He’s also known for his TV specials “They’re Not Gonna Laugh At You” in 2012 and “Translate This” in 2017.